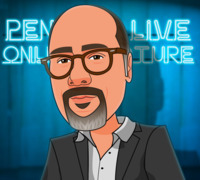 Today, when you order "Paul Wilson LIVE", you'll instantly be emailed a Penguin Magic gift certificate. You can spend it on anything you like at Penguin, just like cash. Just complete your order as normal, and within seconds you'll get an email with your gift certificate. Paul Wilson LIVE (Penguin LIVE) The world's foremost expert on cons and scams and master magician came to Penguin for a mind expanding 3 1/2 hour live event. SUPPORT LIVE MAGIC. RESERVE NOW AND SAVE. A demonstration of fantastic skill ends in a miracle thanks to the spectator's intuition. A truly powerful utility move that can make miracles happen. Three phases of a clean, baffling effect. An impossible location that has fooled the experts. A surprising and baffling revelation. An unexpected moment of wonder. An impossible effect that happens entirely in the spectator's hands. A powerful, simple version of a classic effect. Two utility sleight for miracles. The spectators find four Aces with a clean, open handling. Understanding that magic is in the effect, not the props. A cards to pocket routine that combines two approaches to a classic effect. R. Paul Wilson is a world renowned expert on cheating. He is also an award winning conjuror and magic inventor. He has been studying sleight of hand, cheating and conjuring since he was eight years old. After twelve years as a computer systems consultant, he became a professional performer and lecturer before moving into the film and television industry. Since May 2000 Paul has worked as an actor, presenter, writer, producer and director. He has created, developed and produced television shows for NBC, CBS, A&E, BBC, CANALE 5, RAI 2, Court TV and Tru TV. He has advised casinos on cheating and, thanks to his unique talents and expertise, has been keynote speaker for major corporations and institutions around the world including Mastercard and Cambridge University. Paul has worked on projects with Sylvester Stallone, Stuart Townsend, Jamie Foxx, Gabriel Byrne, Thandie Newton, Bo Hopkins, Ben Affleck, Ryan Reynolds, Ray Liotta, Alicia Keys, Andy Garcia, Jason Bateman and Jeremy Piven. Paul’s film credits include: Second Unit Director, Cheating Advisor and actor in “Shade” (2004). He directed and starred in the highly acclaimed opening titles, which featured expert sleight of hand with cards. He also appears as “Mr. Andrews”, a poker playing card cheat. He has a role in Joe Carnahan’s Smokin Aces and was magic advisor on the film, training the lead actor (Jeremy Piven) to handle cards like an expert. He produced A&E’s hit show Mondo Magic , advised Criss Angel for his hit TV show, appeared on “Modern Marvels’” casino technology episodes and is the resident cheating expert on Italian TV’s “Arcana” show. Paul co-created, produced and starred in Court TV’s “The Takedown”, a twelve episode series where Paul was challenged to beat Casino security systems. He went on to write and present “The Real Hustle” for the BBC. The show is a hit in the UK with eleven successful seasons and a US version commissioned by Court TV. Paul was the host of VOOM’s “Ultimate Tourist Scams” and has written and presented a one hour special for BBC ONE where he performed the impossible for members of the public. As Consultant Producer, Paul developed and worked on two seasons of the BBC One’s hit saturday night show “The Magicians”. Paul worked behind the camera producing incredible illusions that he helped to create for the show plus consulted on filming, editing and writing for each show. Backstage he was responsible for making sure every effect was rehearsed and ready before the show went live to seven million viewers. 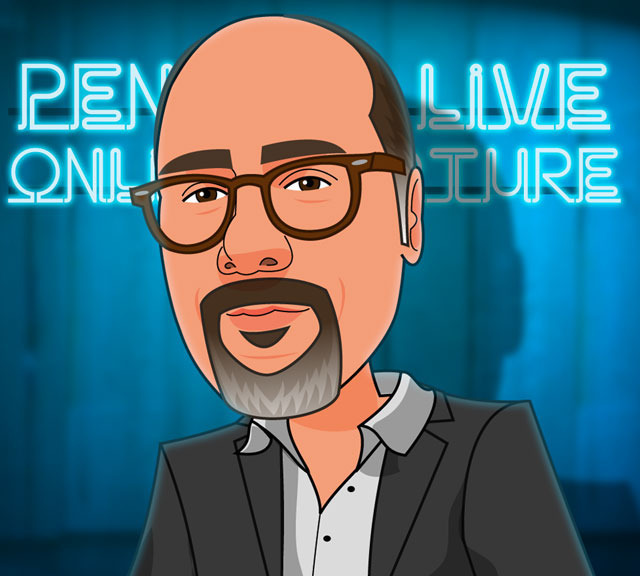 Paul also served as Consultant Producer for the Canale 5 show “La Grande Magia”, helping competitors, judges and production staff to navigate the difficulties of making a large-scale magic show for television. In 2011, Paul co-created, wrote, directed, produced and starred in “SCAMMED” for the History Channel. This two-hour special featured a brand new version of the Nigerian 419 scam, designed to target a new generation of potential victims. Inviting a former “mark” to take part, creating a specially tailored con and using classic scams to prove anyone is a target made “Scammed” a fresh, entertaining way to expose these crimes and protect the public. 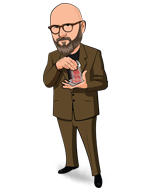 As a magician, Paul is a highly regarded writer, creator and lecturer with countless original inventions used by professional magicians around the world. He is also a performer with a huge repertoire of original effects and a reputation for classical conjuring using cutting edge methods. Paul lives and works between London, Los Angeles and his home in Scotland. If you've never been to a magic lecture, theres never been a better time. Sunday June 23rd at 7:00pm, were live-streaming Paul Wilson in a spectacular 2-hour interactive online lecture. Watch, ask questions and learn things you won't find in any book or DVD. Purchase the Paul Wilson LIVE product. This is your ticket. On Sunday June 23rd, anytime before 7:00pm Eastern, click the MyPenguinMagic area at the top of the Penguin site. Youll see the livestream appear 1 hour before showtime. At 7pm sharp, Paul will hit the stage and begin his JAM-PACKED professional lecture. Ask Paul questions and discuss the tricks DURING the lecture. 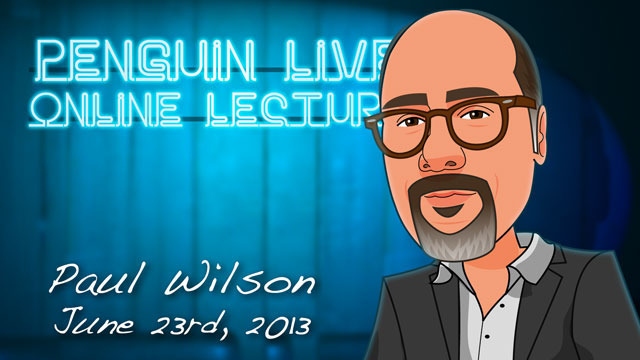 R. Paul Wilson's Penguin lecture is in the top tier of the dozen or so I have watched. There's a nice variety here: tricks, from self-working to ones with heavier sleights; both card and coin work; a cool bar bet using a bill; a mini-version of the lecture he gave at Magic-Con; a nice handling for Lennart Green's "Figurine; and moves (his Duffie Wilson spread control is taught). Of course, we all have too many tricks, so what I always look for in a lecture are two things: a sense of the performer, his personality, and how that shapes his tricks and presentations; and, some degree of inspiration. Wilson delivered on both. I've read before Wilson described as a dry performer, and I didn't find that to be the case at all. He has a calm, deliberate style that still has a lot of charm to it. And when it comes to the inspiration part, that came simply from his passion for his material and doing magic, expressed throughout the lecture as well as in the conversation afterward. There's a great little bit where Wilson talks about a very simple trick -- Steve Freeman's "Time Machine" (or, more properly, its Roy Walton antecedent) -- and how it was the most fooling trick he did for years. As that's a favorite of mine, it was just cool to hear someone who knows every sleight in the book speak about how a simple trick like that can astonish just as hard as some more difficult routine it would take months to learn. Recommended. I am and have always been a HUGE fan of Paul Wilson. His technique and construction and thinking behind his effects is amazing. The guy just keeps getting better. I downloaded and watched this lecture recently and am delighted to report I've already added at least two of the effects in this lecture to my working repertoire. This lecture should be required viewing by those who wish to 1) elevate the quality of their sleight-of-hand and 2) learn how to make the magic they are already doing stronger. Paul really delivered something special with this lecture, his passion for our art is very clear throughout. Paul is a very elegant and eloquent performer who invites you to listen to him, and he is worth listening to. First off the tricks he teaches are all great and he covers some pretty awesome moves from both the magic and gambling worlds, but it's what he talks about between and after the tricks that are really worth the price you'll pay for this download. The 13 steps he covers would be worth 2 or 3 times what you'll pay for the whole lecture. But also little tips on misdirection and the development of a performance persona make this a truly invaluable and entertaining watch. Don't hesitate and get this today. overall I loved this lecture!I own all of lectures penguin has put out and this one sets out to me because of the knowledge and theory you get out of it also because of the good effects he teaches. Really good for close up and workers. I love it ! He is a great manipulator, enjoy to watch him.He is good approach and easy to follow up. Great magician. I have been a big fan of Paul's for many years and this lecture did not disappoint.Great tricks Great insight.Highly recommended. ADD TO CART! 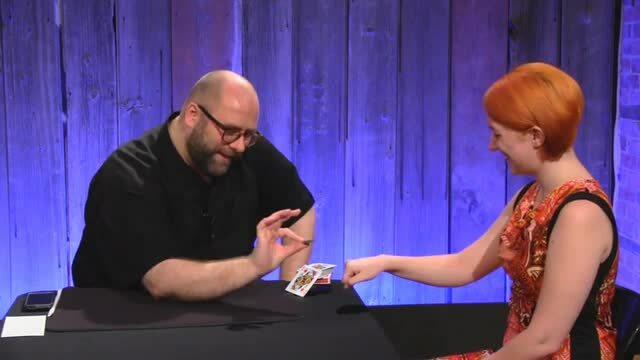 A lot of great card magic, not just tricks but the ideas behind them and ways to become a better magician. This is my favorite lecture, been doing magic for 15 years now and learned a lot from this lecture. You wont be disappointed its worth the price. This is one one of the most exciting lectures I've ever experienced. There is information Paul is sharing that will exponentially improve the magic we already perform. I am blown away by what Paul is sharing ( and I'm a fan and have a great deal of his work ). If you can only get one of these live lectures, get this one!